Our Hallowe’en was a relatively quiet one, but fun. Candy Apples, gourmet treats, and a pumpkin carved as Dracula in honour of the late Christopher Lee. We were privileged to see Primus (with the Fungi Ensemble) live at the Southern Jubilee Theatre on September 11th. I happened across the Wordless Wednesday meme on Create With Joy, and thought I would try it out, particularly as I have been trying to take more pictures. I have a nice little plugin that imports all my Instagram photos. It’s intended to add them as posts to the blog, but I didn’t like the format. I’d rather pick & choose and format manually. My goal with the meme is to say only enough in the post to give context. After that, it’s all up to the picture. 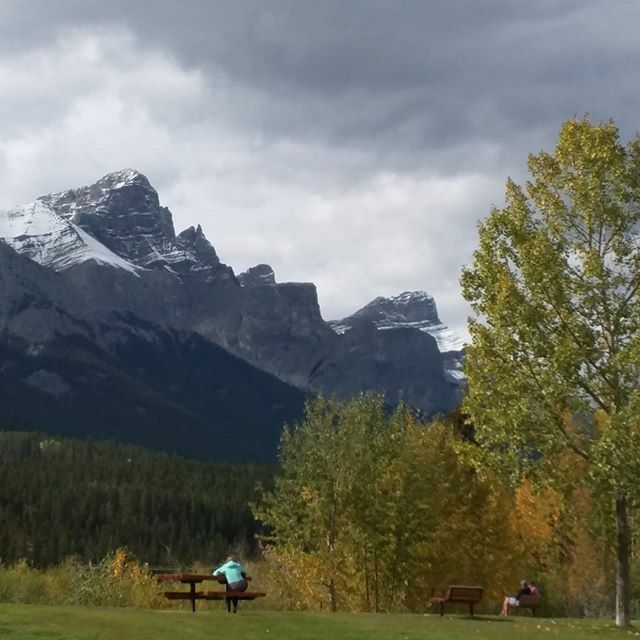 We visited Canmore this past weekend to attend a wedding. I think I spent more time gawking at the mountains than anything else. It’s been about twelve or thirteen years since I’ve been out that way, so I enjoyed it immensely. Something tells me we will be taking more road trips now that we have a car that can make the journey!